Blogging tips for beginners (part I) - Finding your niche. How to make your blog stand out? Hello, muffins! 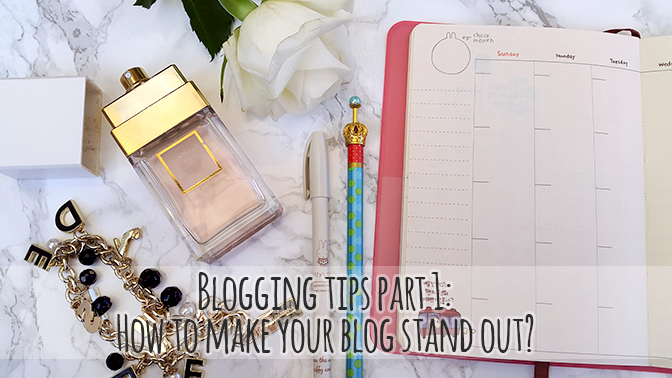 Today's post is the first part of a new series, dedicated to blogging tips. 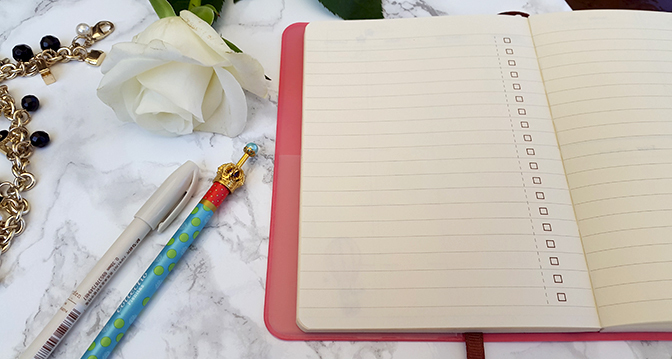 Whilst I don't consider myself to be an expert when it comes to blogging, I thought it might be useful to share a few things I've learned over the past few months. This post will focus on finding your own niche, and making your blog content more original. Hope you enjoy! products for spring, summer, etc. ♥ Your top five - lipsticks, eyeshadows, palettes, blushes, mascaras etc. ♥ Favourite beauty hacks - you could write a post dedicated to each one! ♥ What's in your...? Bag, makeup bag, bathroom, travel essentials etc. ♥ Get ready with me - you could share your beauty routine depending on the occasion, e.g. morning or date night routines. Images and layout can add a lot of personality to your blog. Flat-lay photos on marble backgrounds are gorgeous, but don't be afraid to add a little twist to your images. Be creative with your photo props - flowers and jewellery always look pretty, but why not go for something a little more original? Maybe you could use some old photographs, interesting perfume bottles, stationery or everyday items such as mugs or earphones? Or maybe you have a cute kitty or a dog that wouldn't mind featuring in some of your photoshoots? Anything that can add a little personal touch is great, and same goes for the blog layout. You could create a customized blog header, or introduce some unusual colours to your design. If you're serious about blogging, it may be worth investing in a premium blog template. I personally recommend either Etsy or Envye (not sponsored! ), which are both great sources for beautiful and unique blog designs. In my last post, I asked my lovely readers about what they think makes a successful blogger. A majority of the answers said that it's the bloggers' personality that matters the most - moreso even than the actual content. Whenever I think of other blogs, I tend to remember them for the bloggers behind them, rather than the content (which still matters, of course). Let your personality shine through your blog - engage with your readers, reply to all the comments, but most importantly - just be yourself. Let your readers get to know you - maybe you could do a few personal tags, such as 50 facts about me or a Get to know me! tag. Remember, your blog is your own little corner of the internet where you can express yourself and share with other people. Your personality is what makes you special and unique, so don't be afraid to show it off! Have you been able to 'find your niche'? What are your tips for making your blog more original? PS. : If you haven't yet, make sure you enter my Yves Saint Laurent lipstick giveaway here! Favourite body butters + recommendations update!